Kaala isn’t a film about a gangster but a film about revolution. And Ranjith stays true to his objective. The traces of what we saw in Kabali have been fleshed out and beautifully embellished. Every dog has his day. 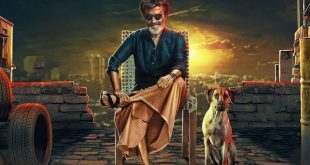 And boy, that day is here for Mani, an Indian pariah dog who is all set to make his film debut next to Rajinikanth! 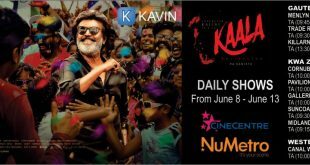 Kavin Media presents the Rajinikanth starrer 'Kaala' in South Africa at Cinecentre & Nu Metro theatres which is easily the most anticipated Tamil release this year.The much-awaited release of Kaala will be screened in Tamil, Telugu and Hindi.